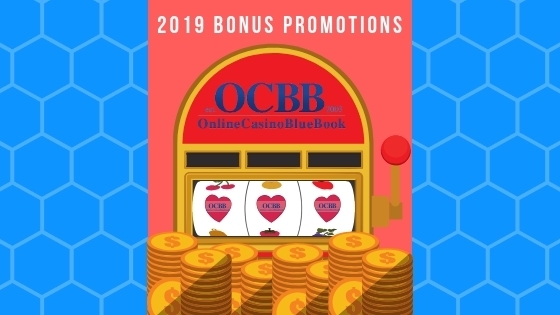 Do you enjoy new bonuses for 2019 from top casinos? Since 2003, we’ve built a lot of respect in the casino gaming industry as a reputable partner to work with and in turn, we get offers to share with our users all the time. We wanted to set up a place where you can quickly get to these various bonus offers and promotions quickly. Roaring 21 is celebrating their birthday with a big bang! Starting on April 20th, players can enjoy huge bonuses. Roaring 21 is celebrating their first birthday with four days of special bonuses. On top of that, enjoy 150 Free Spins + 100% up to $1,000 Free Bonus every day! Terms: 40x wagering. Valid on slots only. One time redeemable, only. All general T&C’s apply. In addition to these great bonuses, players are eligible for a party bag on April 24th. This party bag is full of goodies, including 50 FREE SPINS on the Sweet 16 slot game. Use code: ROAR50 for the party bag with free spins. Terms: One bonus per customer only. Only activity after the coupon has been redeemed counts toward the bonus requirements. The Reload Bonus offer is subject to 40X playthrough, and a maximum deposit amount of $300. Only play on Slots, Keno and scratch cards counts towards playthrough, play in any other game will void winnings. 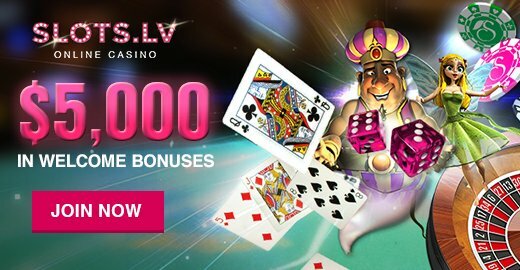 The general rules and policies of www.slots.lv shall also apply to the Promotion. Terms: One bonus per customer only. Only activity after the coupon has been redeemed counts toward the bonus requirements. The No-Deposit Bonus offer is subject to 100X playthrough, and a maximum withdrawal amount of $125 on winnings. Any winnings above the $125 based on the bonus will be forfeited upon cash out. All games contribute to playthrough requirements; however, certain games may have a greater contribution than others. For more information please view the Slots.lv wagering contribution chart. The general rules and policies of www.slots.lv shall also apply to the Promotion. Terms: 40x wagering, players can use on slots, keno and scratch cards. 5x redeemable with no max cashout.